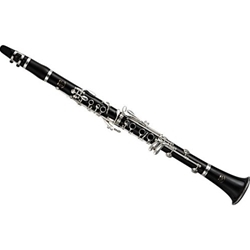 The YCL-650 professional model clarinet features a 65mm barrel design that produces a focused tone and quick response. Players looking for the tools necessary to maximize their performance will do just that with this clarinet. A new resonance chamber in the bell of the YCL-650 aids in projection and improves intonation in lower notes, allowing for consistency and confidence. A great sounding clarinet should also win the swimsuit competition when it comes to looks, and the YCL-650 certainly does. A unique, natural finish accompanies this great sounding instrument bound to capture any audiences' attention. Since there are so many different sizes and shapes of hands, it only makes sense that there ought to be some type of adjustment for different hand positions. An adjustable thumb rest is designed for player comfort while needle springs provide faster key action.